Services are consumer driven and we want to make sure each person maximizes the services they need to live a full life. 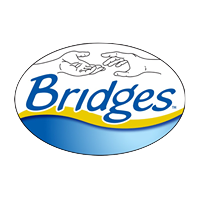 Bridges is a leader in the industry of music therapy. We have several national certified Music Therapists who work 1:1 on advanced social skills, building higher self-esteem, improving fine & gross motor skills, cognitive skills, communication skills, and coping skills through voice or instruments. Music Therapy is provided to young children through the aging population daily. Residential supports assists individual independence, while also focusing daily activities on reaching all individual goals and aspirations that someone may have for themselves. Up to three individuals share a supported living home. Individuals have their own bedrooms and they have a voice in choosing their living setting and roommates. Supported individuals may share living expenses such as rent, utilities and groceries.